Arriving Santiago January 11th, 2019. 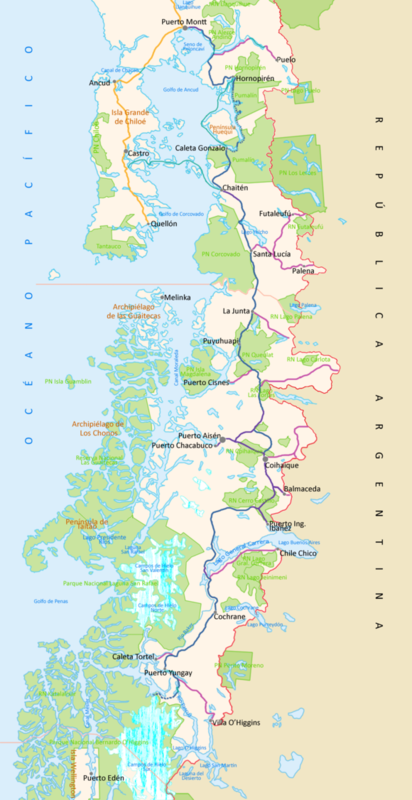 I’m planning up to a month on the Carretera Austral. Hiking a number of new National Parks and trails along the route. This will be my 3rd trip to Patagonia over the past 4 seasons. Click PLAY or get a glimpse on YouTube. It starts with the WORST section. This entry was posted in cycling by Rick Mc. Bookmark the permalink. Hey Rick, Maybe we’ll see you along the way, we are heading back in January as well. Is one of the new parks you are looking to do the Patagonia Park, one funded by Tompkins?